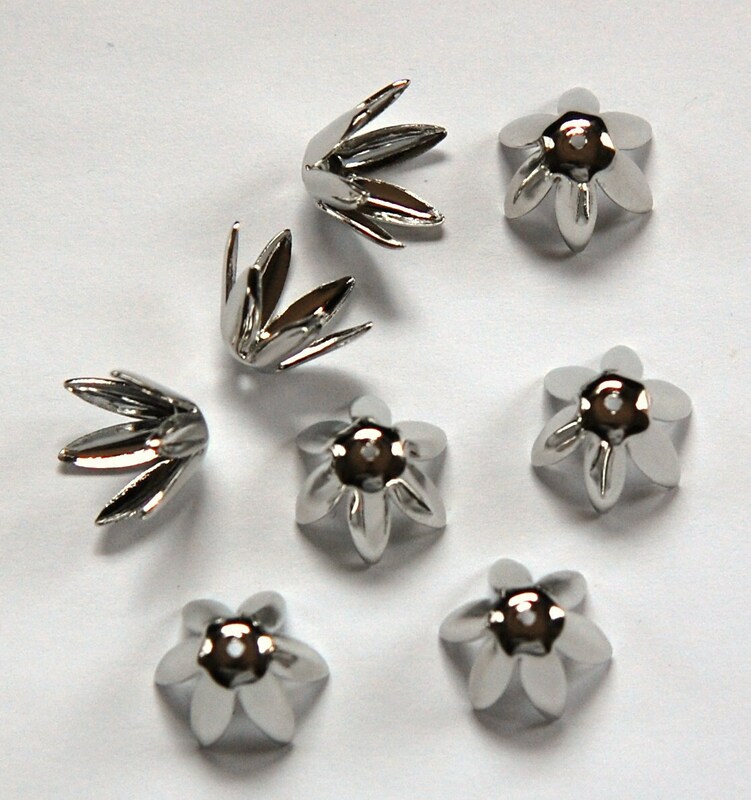 These are silver plated bead caps. They have 6 long petals. 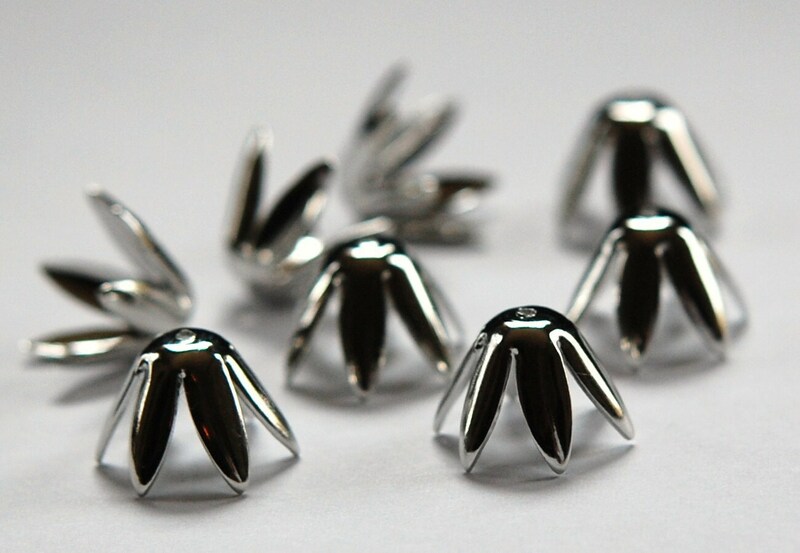 These measure 10mm long x 14mm across the bottom x 5mm across the top. You will receive 8 pieces.